← YOLO Bear – Celebrate your accomplishments! YOLO Book Club: Read books which focus on positivity and self-improvement. I always wanted to be part of a book club and decided to start my own. 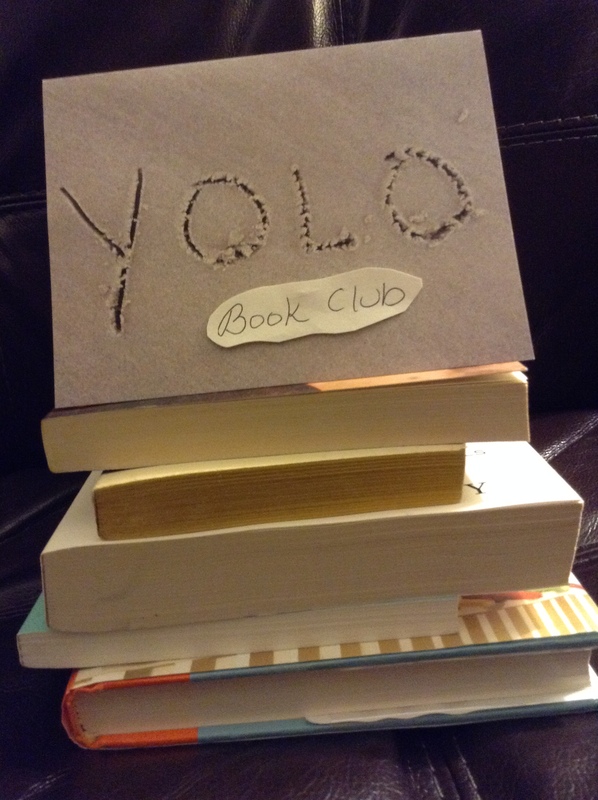 I call it the YOLO (You Only Live Once) Book Club. We read “YOLO-type” books which focus on positivity and are a group of moms with younger kids that meet every other month (gives us more time to read the book). When we meet to discuss, everyone shares 5 things they learned from the book. The first book we read was Happier at Home by Gretchen Rubin. Happiness means different things for everyone, but we all picked up “positive” things from this book we could incorporate in our lives. One of my favorite tips was around creating a “shrine to my family” and how “happy families tend to display large numbers of photographs in their homes.” This has always been an aspiration of mine, but I can’t seem to make happen. A ” holiday photo gallery” is a much more attainable goal for me. I agree with Gretchen Rubin that when we see family pictures in our home every day, we don’t seem to engage in them because they are a “permanent part” of our home decor. She suggests a “holiday photo gallery” which is something I can definitely do. I plan on taking all of my daughters’ Halloween photos over the years and putting them in frames. I will bring these pictures out only at Halloween so we notice and pay attention to them. It’s similar to the concept of Easter and Christmas decor. How excited do you and your family get when you bring out the decorations for that season? You don’t see that decor all the time so it is special. So you get the idea…Read books which bring positive things into your life which make you happy. When the parents are happy, it’s easier for the kids to be happy too.